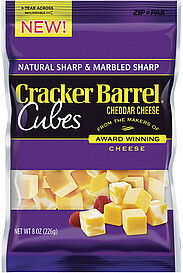 Save $1/1 Cracker Barrel Cheese Cubes. New Coupons: $1.00/1 Cracker Barrel Cubes, Athenos Greek Yogurt and more! Next post: Amazon – 25 Days of FREE Music!